It was a great end to the week. Most mountains in the area got 2 feet over the last two days. The mid-mountain depth at Alta is 155 inches (12.9 feet!). Light showers have continued today, though sunny skies are moving in. 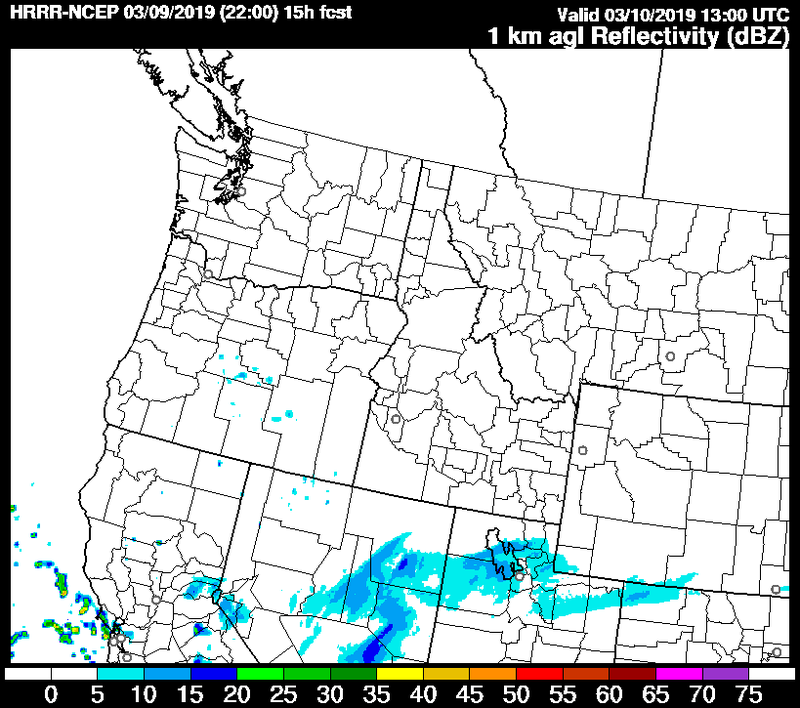 Tomorrow an interesting little storm will hit central the central Wasatch. 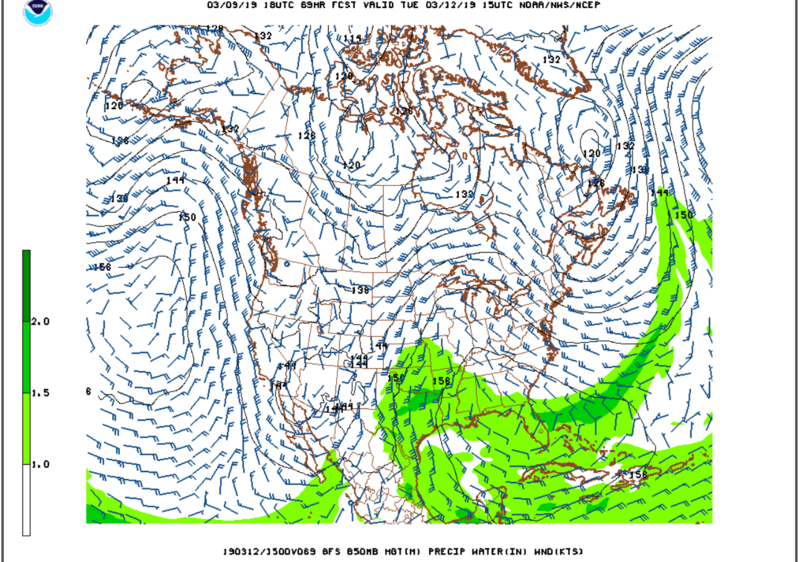 There’s a large cut-off low pressure area off the coast of California, and the polar jet stream is to our northeast. Tomorrow morning the angles will work out so that the air circling around the cut-off low will split and go in two directions. This diverging flow provides an area of lift that will allow snow showers to form. High-Resolution Rapid Refresh model forecast for tomorrow morning. This isn’t going to be a serious storm, just a bit of a refresher. Plus most of it will fall Davis County and north, so Snowbasin and Powder Mountain will do best from it. After tomorrow, we’ll have several dry days. It will likely be sunny, but I wouldn’t rule out some mountain clouds. Mountaintop temperatures will top out in the mid-20s, and it will be a great stretch to enjoy the dumping we got the last few days. The next storm is coming on Wednesday. Right now it is looking like a quick hitter but a good one. The dynamics are looking good with a strong cold front, but the storm will be moisture starved. The winds off the coast will be blowing strong from the north which will keep any tropical moisture from getting trapped up in this storm. We should get several inches out if the cold front though. Stay tuned for more details and updates! GFS model low-level wind forecast for Tuesday. No tropical moisture with this storm.